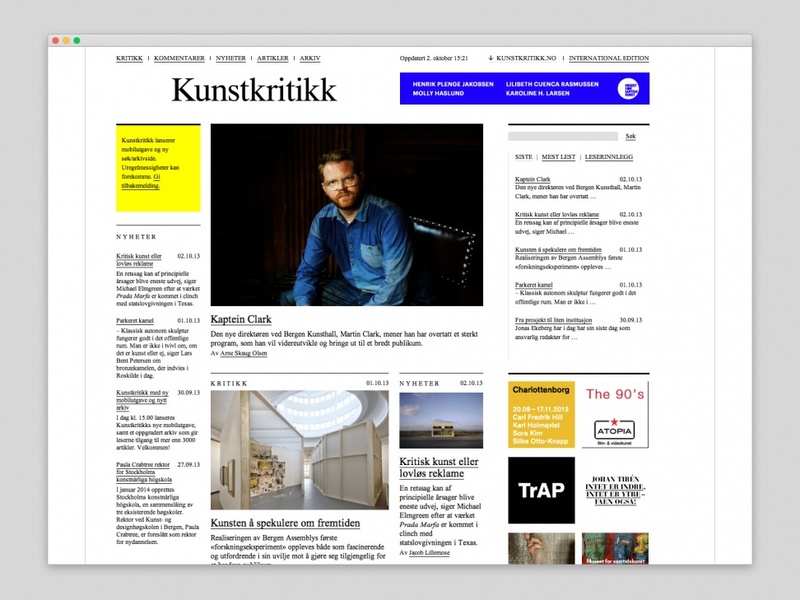 Kunstkritikk is Norway’s leading online art journal and has recently also launched Nordic and international editions. 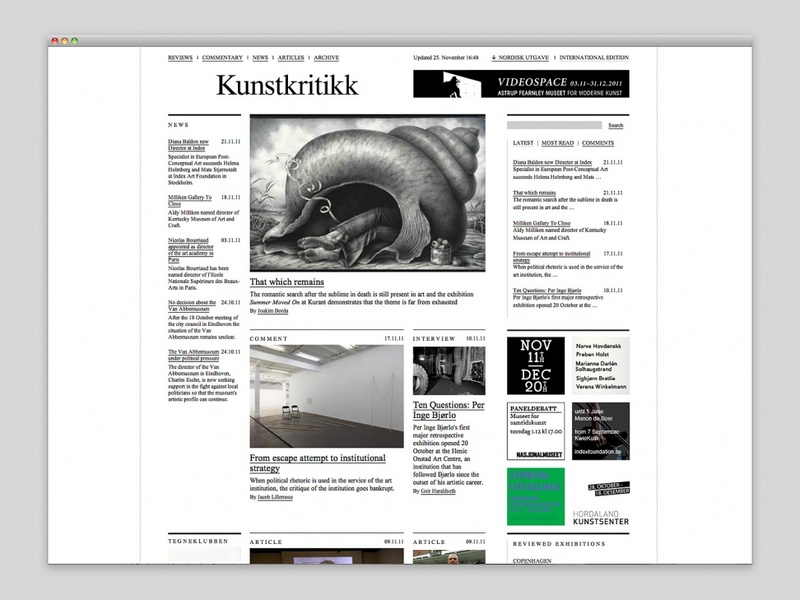 Updated daily, Kunstkritikk delivers reviews, commentary and news from the field of contemporary art. 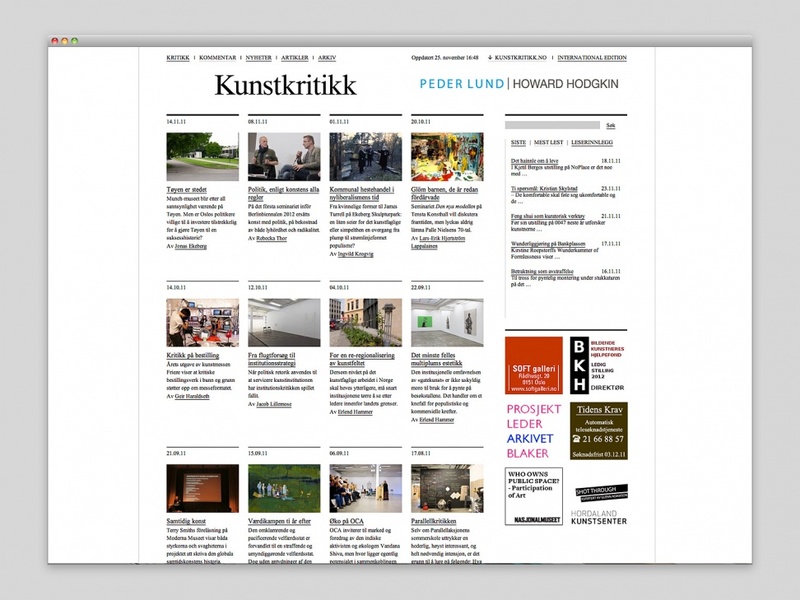 Our 2010 redesign marked a shift in the website from a blog-like format towards that of an online journal. The design is geared towards readability, and we wanted to reduce any effects to a minimum in order to keep the focus on the content. In 2011, we revised the Nordic and international editions. 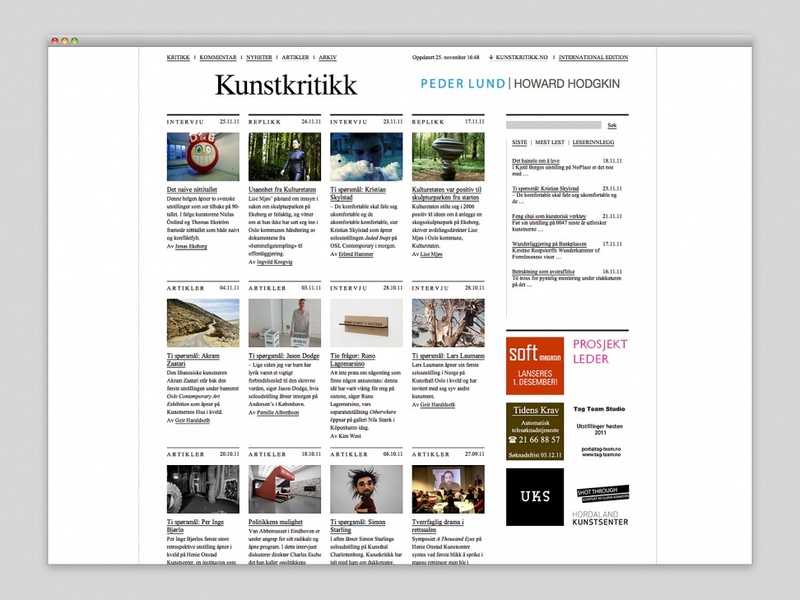 Kunstkritikk is now available in the Scandinavian languages as well as in English. 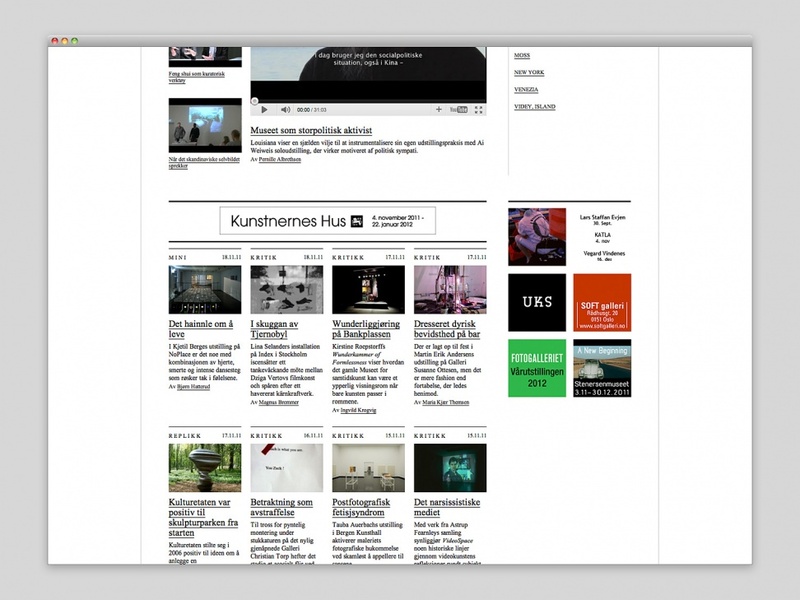 The site was made in close collaboration with André Pahl and editor Jonas Ekeberg.